The Deck is the perfect buying opportunity for anyone who wants to be right in the very heart of Phuket’s most lively and bustling centre of Patong. Located a mere 400m from world-famous Patong Beach and ten minutes away from both Bang-La Road and Jungceylon Shopping Mall, The Deck is surrounded by a wide variety of shops, bars and restaurants, making it the perfect location for anyone who wants all of the conveniences of Phuket’s most popular tourist centre right on their doorstep. The Deck consists of two seven-storey buildings containing a total of 270 units and is designed in a unique and modern-style, with irregular balconies which will make The Deck a landmark building upon its completion. 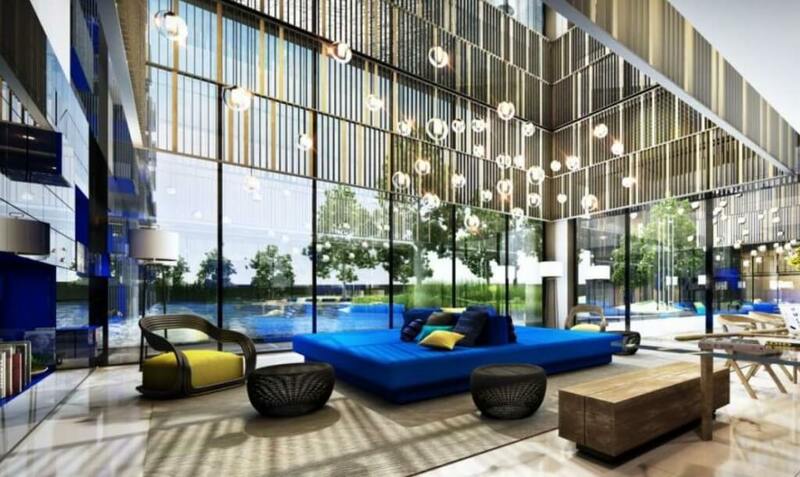 The project features a variety of high-class amenities for the use of residents and guests. These include a fitness centre with a sauna and two pools. The pool at ground level is 50m in length, making it perfect for serious swimmers and also features an attached jacuzzi. 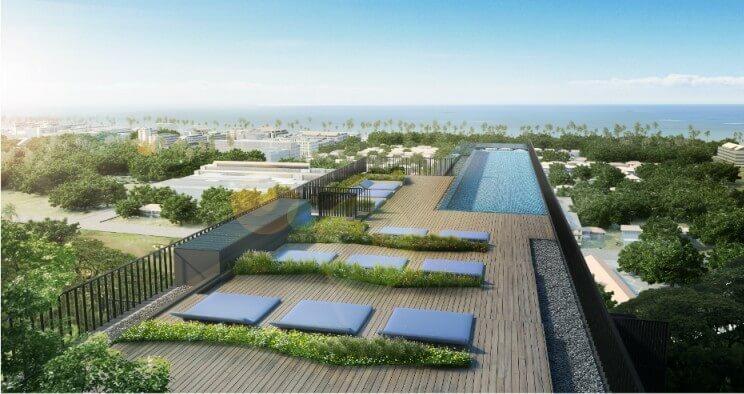 The other pool is a 28.5m long infinity pool on the roof of one of the two buildings, from where residents can swim while enjoying the fabulous panoramic view of the beautiful Andaman Sea. The project also contains large, relaxing green areas containing many trees and water features, both surrounding the two buildings and also at rooftop level. The Deck offers a variety of comfortably sized units starting from studio apartments of 29 to 38m2, through one-bedroom apartments from 40.5 to 50.5m2, up to two-bedroom apartments of 63 to 75m2 so, whatever your needs, there is sure to be a suitable apartment at The Deck for you. All apartments at The Deck are supplied on a fully furnished basis. The majority of apartments on the project feature extra-large balconies so that residents can enjoy beautiful sea views in privacy while relaxing on sunloungers. Some even have their own private jacuzzis located on the balconies. All apartments apart from the studios feature bathtubs in addition to showers. 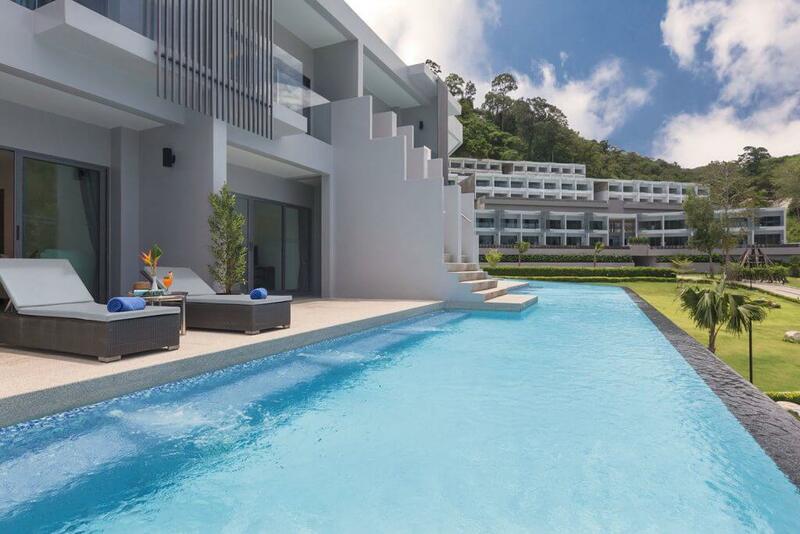 Due to The Deck’s excellent location right in the heart of Phuket’s most popular and busiest tourist area, rental demand from tenants is sure to be very high, right throughout the year. The lack of other building sites in the centre of the city means that capital appreciation here is going to be very high. As a result, The Deck is an ideal purchase for anyone buying purely for investment purposes. The payment terms at The Deck also make this a highly attractive project for investors, as only 30% of the price needs to be paid upon contract. The remaining 70% is not due for payment until completion in September 2015.